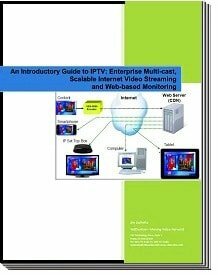 Are you interested in learning about Video Networking and IPTV from one of the leading vendors in this space? Do you want to learn how to prevent costly mistakes in designing and implementing this? Do you want to know how VidOvation can design you a broadcast quality video-over-IP system at 1/3 the cost of competing systems?